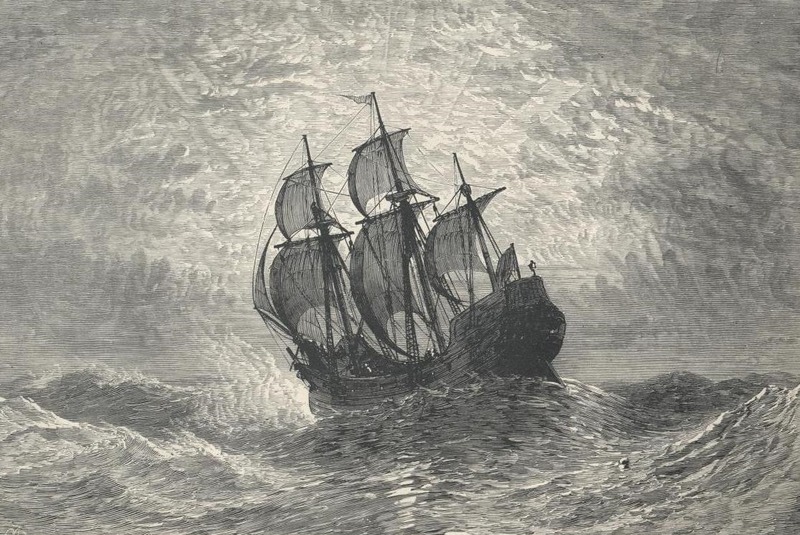 In 1620, searching for a place to practice their dissident religion in peace, a small group of English separatists sailed to the wilderness coast of America. They were helped by local Indians, who shared with them a great feast comprised of native foods: turkey, cornbread, pumpkin, cranberries. The Indians taught the Pilgrims how to plant corn and squash together with a fish placed in the soil to encourage robust growth; the colony survived and prospered. Jump cut to the Boston Tea Party, Concord and Lexington, and the modern world’s first successful experiment in democracy. If you add the Salem Witch trails and the French and Indian War, this summary pretty much covers the average American’s vision of the century and a half that passed between the landing at Plymouth Rock and the fireworks of July 4, 1776. It’s what might be called the Thanksgiving Myth — and it’s not wildly off base as far as it goes. But some important context is missing. This is a problem, because a nation’s foundational mythology determines its self-image and deeply affects the behavior of its government and citizenry. The collision of worldviews is almost impossible to imagine. On the one hand, a European society full of religious fervor and colonizing energy; on the other, a native society shattered and reeling from the greatest catastrophe it had ever known. The Puritans were forever examining their own spiritual state. Having come to America with the goal of separating themselves from polluted forms of worship, a great deal of their energy was focused on battling demons, both within themselves and at large in the world. Puritan clerics confused the Indian deity Kiehtan with God, and they conflated Hobbamock, a fearsome nocturnal spirit associated with Indian shamans, or powwows, with Satan. Because of this special connection many Puritans believed that the powwows, and by extension all the New England Indians, were bound by a covenant with the devil. Indians thus became symbolic adversaries, their very existence a threat to the Englishmen’s prized religious identities. Meanwhile, the Great Migration of the 1630s was bringing in thousands of new colonists, many of them younger siblings shut out of an inheritance back in England, who were hungry for the opportunity to become property owners in their own right. There was a great need for more land. And so, tragically – and not for the last time in American history – self-interest, fear, and deep-seated ideology coincided. Indian-hating became the fashion. Religious piety provided a motive for armed violence. 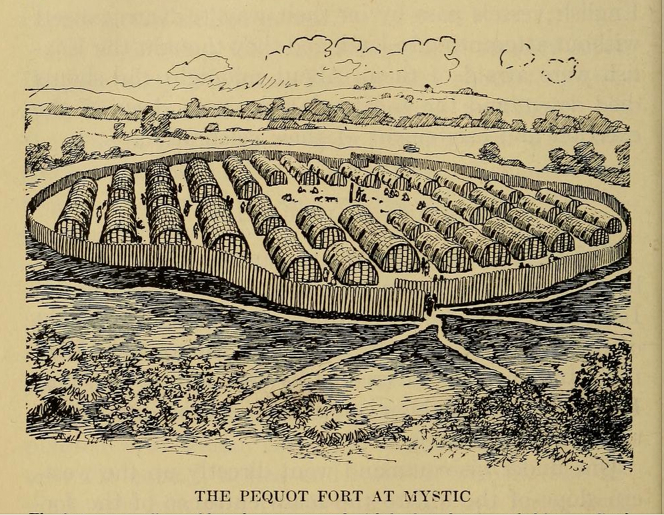 In May of 1637, colonists from Connecticut and Massachusetts Bay, with a group of their Indian allies, set fire to a fortified Pequot stronghold on the Mystic River. 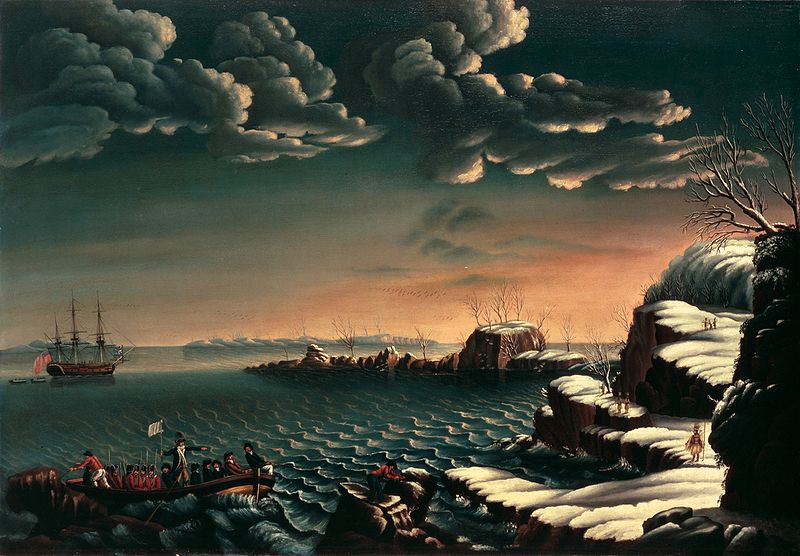 An estimated 700 Pequots perished, mostly women and children, and the few survivors were shipped to Bermuda and sold into slavery. On the heels of the virgin-soil epidemics that had decimated the native population, the ghastly specter of genocide had reached the shores of America. In 1675, bloody King Phillip’s War put the finishing touches on what was more or less the total extermination of the eastern woodland Indians. It is an inescapable fact, therefore, that this proud country was born in the aftermath of a shameful ethnic cleansing that is largely absent from the collective memory. It behooves us to refresh that memory. How would the current debate over immigration change, for example, if it were to be conducted in the light of a more honest consideration of our own deepest origins? Would self-righteous distinctions about “legal” vs. “illegal” immigrants have the same emotional currency? Recent popular histories such as Nathaniel Philbrick’s Mayflower and Jill Lepore’s The Name of War have taken us some distance in this process of revision, but we need to keep telling ourselves the true story until it is enshrined in our national consciousness. It’s high time we updated the Thanksgiving Myth. This article originally appeared at Talking Points Memo.